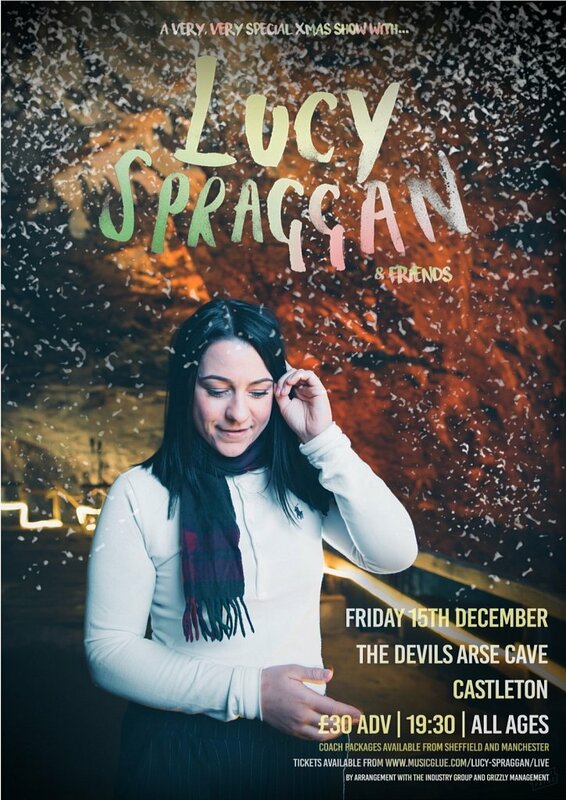 Last summer i was commissioned to shoot some promo shots for Lucy Spraggan's 2017 festive show. The show wasn't booked at your usual music venue, however. 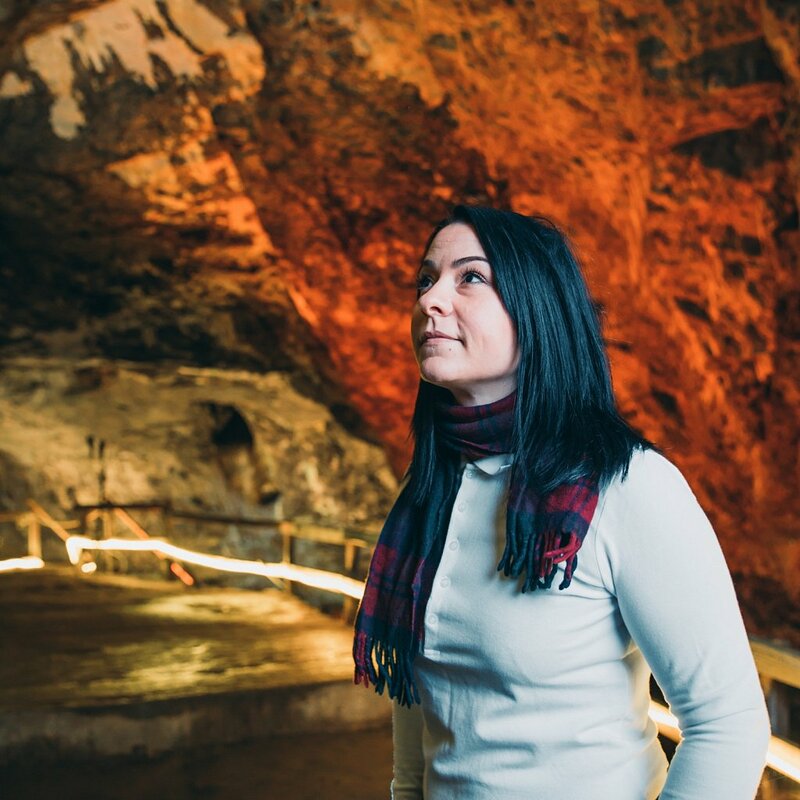 It was at a very unique location indeed - a cave affectionately know, as 'The Devil's Arse'. 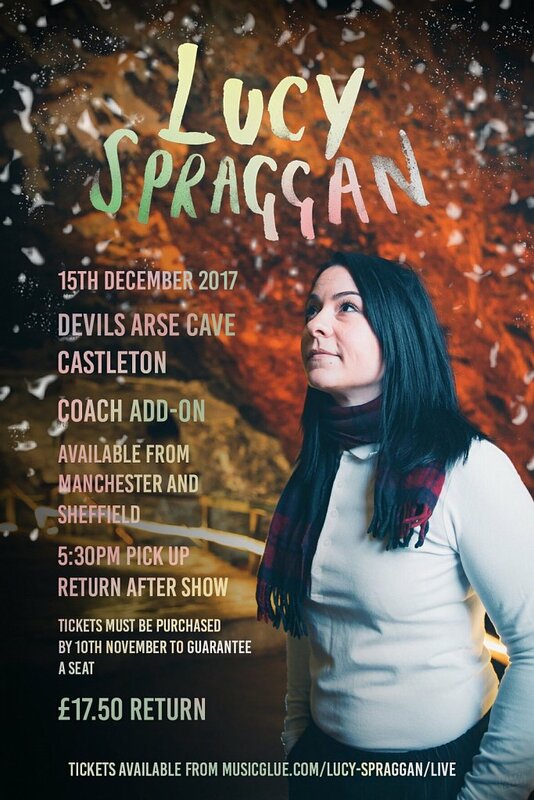 The Cave - The Peak Cavern, to use it's proper name - sits in the heart of the beautful Peak District. Given this shoot was planned to take place in a popular tourist spot, we had to arrange the shoot out of hours. 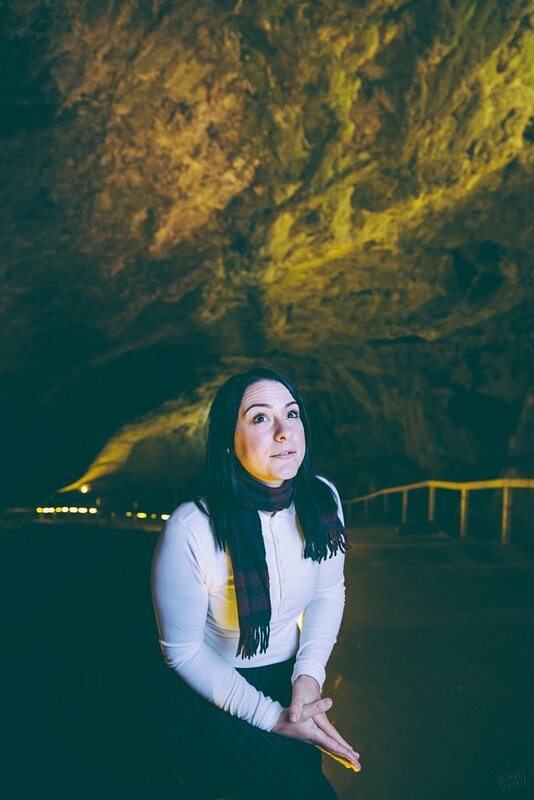 But given the shoot was down a cave, lack of daylight wasn't ever really going to be an issue. That said, the sun was still up for my drive down the breathtaking Winnats Pass - a stretch of road that sits dissects two steep hills. Had I not been on my way to a shoot, I'd have loved to have jumped out of my car and grabbed a quick landscape shot, but nevermind. 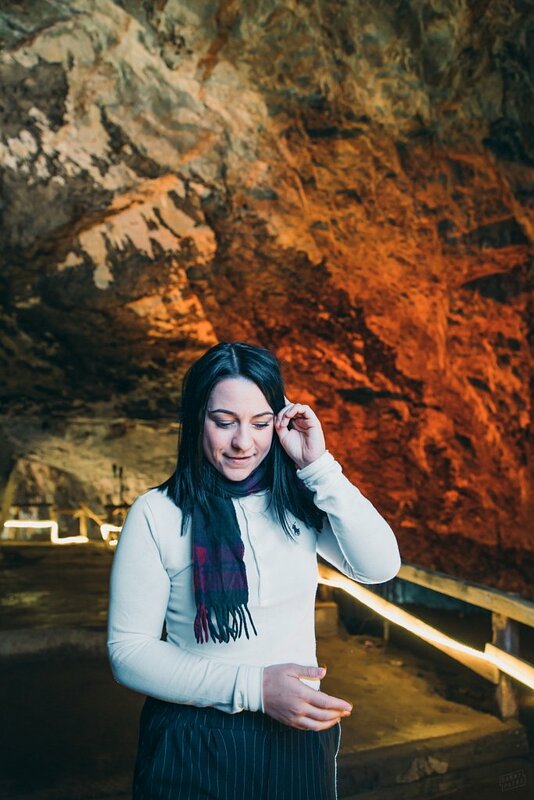 I met Lucy at the cave, and we set up a short way in. The entrance to the cave is huge, and is lit various coloured lights. However, given we were shooting in some very dark conditions, I would have needed to use some really long shutter speeds to pick up the cave lights effectively. I pushed the shutter and my ISO as much as possible to capture as much of the ambient light, but more was needed. I set up a couple of speedlights with coloured gels to enhance the existing ambient light. This in itself was quite tricky, as I couldn't deviate far from the designated path to hide them behind things. After some beavering about, I found a couple of spaces that worked. With the background sufficiently lit, I set up getting some light on our subject. I wanted a nice, soft light on Lucy, so opted for one of my collapsible 120cm umbrella softboxes. I was shooting alone on this one, so had to keep my setup fairly simple, and these umbrella boxes are a breeze to set up and put down. The candid look and natural smile looked perfect. Something I took away from this shoot as something I need to address is posing subjects - it's on my 'to do' list. t was great shooting Lucy again, and this was a really interesting and challenging shoot to work on - certainly beats the bog standard brick wall band shoot, that's for sure! As a footnote just want to say a huge congrats to Lucy for recently signing to Cooking Vinyl.